Big Girl - feels like a gazelle!! I'm a big girl, 5'-9" on the heavy side. I'm in good shape, I can do whatever I need to do physically, but I don't run. But when I'm on my bike I graceful, powerful, cool. I began riding in 2008 when I was 47. It has changed my life forever. Now I ride everywhere, everyday, for whatever I need. I ride to work everyday all year round in central Illinois. I ride on weekends with my hubby riding next to me. i picke my daughter up from school. I get groceries on my bike. (It has sure helped our relationship too!). Comments for Big Girl - feels like a gazelle!! ... and your story is just awesome. I love that you feel like a Gazelle! 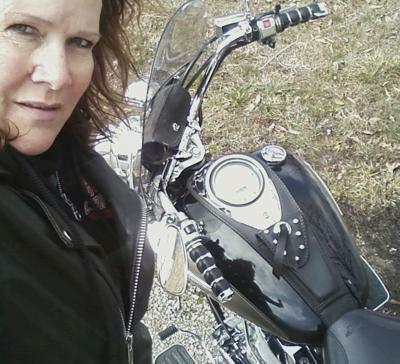 There is just something about owning and riding a bike that makes you feel good about yourself and for once size doesn't seem to be a factor.... well, except for finding a leather jacket that fits propertly, but that's a whole other can of worms. I am a big girl as well. I got my endorsement last Sept. I don't get to ride as much as I would like to. Me and my b/f take care of his mom so it makes it hard to get out. 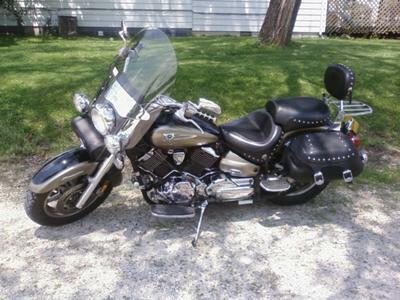 When I got my endorsement my b/f bought me a Vulcan 1500 and I am in heaven when I ride. U rock GF, I'm about 6 ft and 240 lbs. I can everything I need to but on my bike I'm Wonder Woman and nobody can touch me.